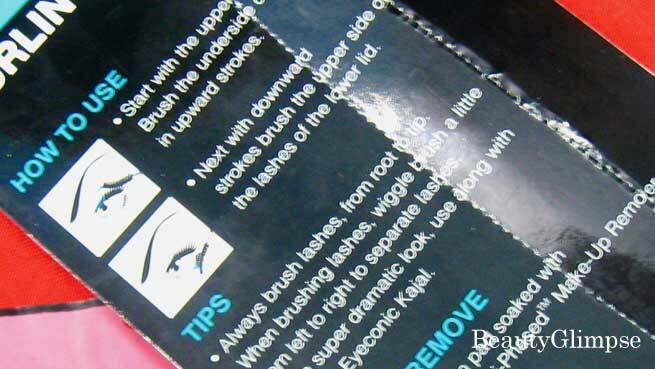 Next with downward strokes brush the upper side of the lashes of the lower lid. Always brush lashes, from root to tip. When brushing lashes, wiggle brush a little from left to right to separate lashes. For a super dramatic look, use along with Lakme Absolute Kajal. Wipe with a cotton pad soaked with Lakme Absolute Bi-Phased Make-Up Remover. Rs. 300 for 9 ml. It is the typical ‘Eyeconic’ packaging and I must say that it is quite impressive. 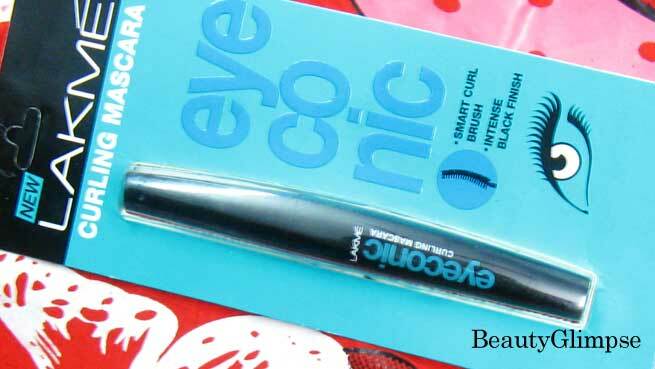 Lakme Eyeconic Curling Mascara comes in a long chunky tube, which is glossy black in color with white and turquoise-blue letters on it. There is a black-turquoise blue cardboard packaging with a transparent plastic chamber to hold the mascara tube and help us take a glance at it from outside. The tube has a unique asymmetric outline with a slightly curvy design. It is sleek and sturdy enough to carry in your purse without any worry. The screw cap of the tube comes with a long curled wand or mascara brush. The thin pointed applicator and its closely arranged bristles are just perfect for applying the mascara to the inner corners of the lash lines as well as the lower lashes. On the other hand, the curled shape of the wand is intended for making the lashes a bit curlier. Overall, it is a very nice packaging and anyone will fall in love with it. 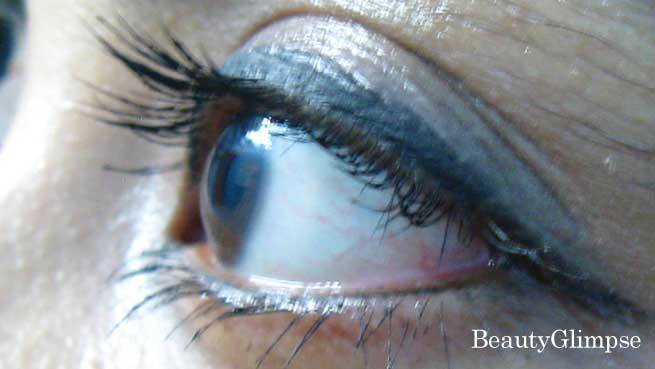 The mascara is jet black in color and neither-too-thick-nor-too-thin in consistency. It is a good choice for everyday use as it gives a lovely black color to my lashes. But there is nothing dramatic about the effects of the product. Yes, it gives an intense black finish to the lashes and the smart curl brush makes it possible to apply the product even to the lashes at the inner corners. But it does not add significant curl or volume to the lashes, which I really don’t like. It is also not a waterproof one. However, it doesn’t claim it too. My lashes are almost straight and the name of this product ‘curling mascara’ made me thought that it can curl them at least to some extent without the use of eyelash curler. But it does nothing to my eyelashes even if I use it on them after curling with a manual curler. In terms of volume, a single coat of the mascara is not enough to add volume to the lashes. One needs to apply at least 2-3 coats to make them look thicker. And, once it coats the lashes well, you can expect them to appear visually longer. So, it can be a daily wear instead of a party wear. Now, let’s focus on the goods of the mascara. The first thing that I would like to say is that it has a very smooth formula, which prevents the eyelashes from clumping. The brush can give a temporary lift to them and make them look well-defined. The mascara doesn’t weigh the lashes down. Rather, it gives a very light feel. It dries very fast in comparison with its other counterparts. The mascara lasts really long, say 5 to 6 hours without smudge. After that, it starts to mess though. As it is not water-proof, I can take it off fairly easily with the help of a good quality oil-based remover. If you need a mascara that can give you a dramatic look with waterproof effects, this one is definitely not for you. 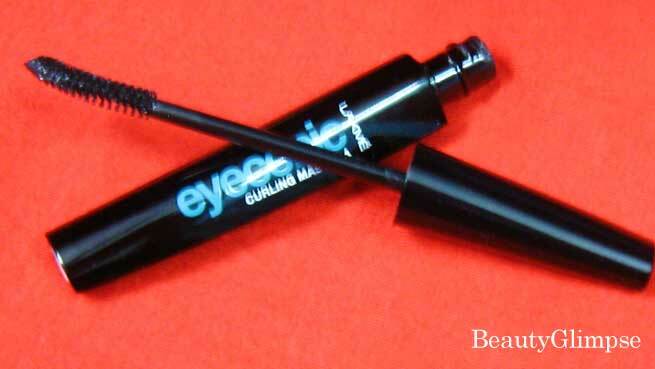 However, go for Lakme Eyeconic Curling mascara if you want your eyes to look neat and well-defined every day.